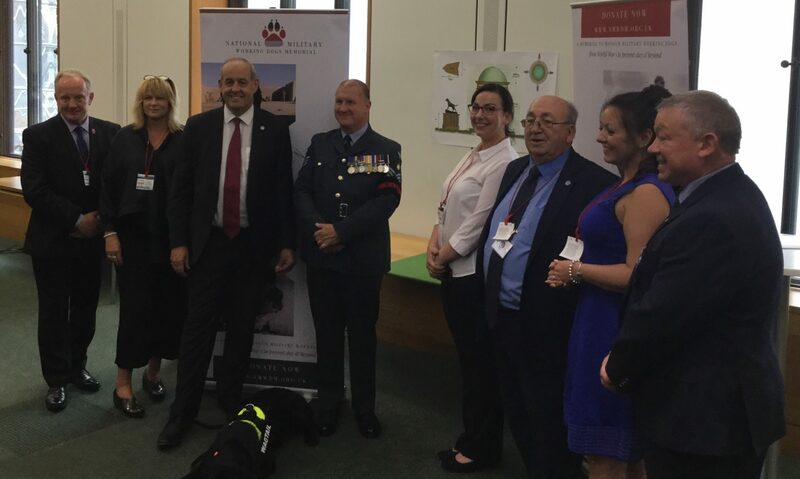 Yesterday (19 June 2018) I hosted the launch of new Flintshire based charity The National Military Working Dog Memorial. This charity has been established by members of the Armed Forces and relatives of those who have worked with military working dogs – under the leadership of John Ward and Emma Ward from Brynford Pet Cemetery – to build the first national memorial in Brynford. The charity needs to raise £150,000 to build the mausoleum and this launch event brought together key stakeholders, parliamentarians and Armed Forces personnel to secure the funding.